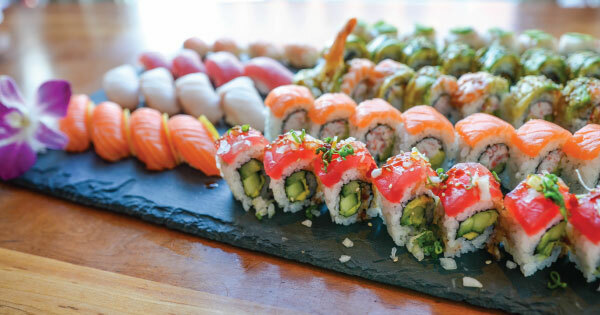 Sushi for One This Valentine's Day? No Worries! Indulge in sushi, and have a great time just being with yourself! You don't have to share! Do you want to eat the entire California roll? You eat that entire California roll! Choose the rolls you want! Do you hate shrimp tempura? That's okay; it will have no presence on your plate whatsoever! Going out solo is considered Medal of Honor-worthy brave these days! Consider yourself a Millennial Hero by braving the huddled masses and sitting *gasp* alone, and actually liking it! You get to eat at your own pace! You're not in any hurry, so take your sweet, sushi-loving time. You can drink as much or as little as you like! Two glasses of pinot grigio or one, it's up to you! You can people-watch! Wanna watch that couple have an epic meltdown? You go ahead and stare at that trainwreck! If you are your favorite person, you're going to have a grand time! Be your own Valentine! Have you ever gone out by yourself for Valentine's Day? What was your experience like? Tell us in the comments below! Need to brush up on sushi etiquette? This article can help!